U.S. Citizenship and Immigration Services (USCIS) announced yesterday that current beneficiaries of Temporary Protected Status (TPS) under Honduras’ designation who want to maintain their status through the effective termination date of Jan. 5, 2020, must re-register between June 5, 2018, and Aug. 6, 2018. U.S. Citizenship and Immigration Services (USCIS) announced yesterday that current beneficiaries of Temporary Protected Status (TPS) under Nepal’s designation who want to maintain their status through the effective termination date of June 24, 2019, must re-register between May 22, 2018, and July 23, 2018. All applicants must submit Form I-821, Application for Temporary Protected Status. Applicants may also request an EAD by submitting a completed Form I-765, Application for Employment Authorization, at the time they file Form I-821, or separately at a later date. DHS published a notice in the Federal Register of the termination of Nicaragua’s designation for Temporary Protected Status (TPS) and also of the six-month extension of Honduras’ TPS designation. 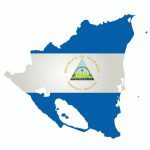 Nicaragua’s current TPS designation will expire on January 5, 2018, and there will be a 12-month transition period before it terminates on January 5, 2019. 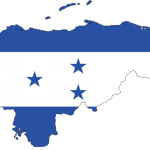 Honduras’ TPS designation was automatically extended for six months through July 5, 2018, during which time DHS will decide whether to extend it, redesignate, or terminate it. The 60-day re-registration period for both Nicaraguan and Honduran TPS beneficiaries will run from December 15, 2017, through February 13, 2018. 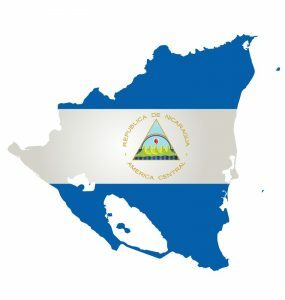 Monday November 6, 2017, Acting Secretary of Homeland Security Elaine Duke announced her decision to terminate the Temporary Protected Status (TPS) designation for Nicaragua with a delayed effective date of 12 months to allow for an orderly transition before the designation terminates on January 5, 2019. She also determined that additional information is necessary regarding the TPS designation for Honduras, and therefore has made no determination regarding Honduras at this time. As a result of the inability to make a determination, the TPS designation for Honduras will be automatically extended for six months from the current January 5, 2018 date of expiration to the new expiration date of July 5, 2018. If you have TPS from Nicaragua or Honduras and would like to know what you can to do to protect your stay in the United States please call our office at 513-791-1673 to speak to an attorney about your options. We will not charge for these calls.